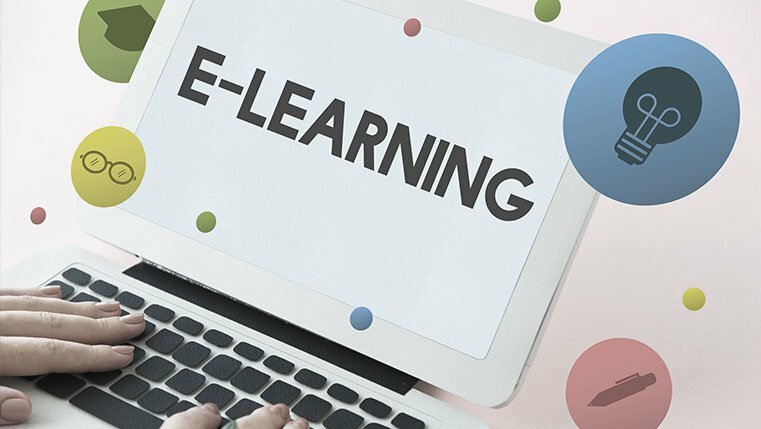 It is common knowledge that effective narration goes a long way in enhancing the efficacy of an eLearning course. It reduces the cognitive load on learners and helps them focus better. So, how can you make sure that the narration of your online course is first-rate? Well, you need to focus on an important aspect – quality of the audio script. 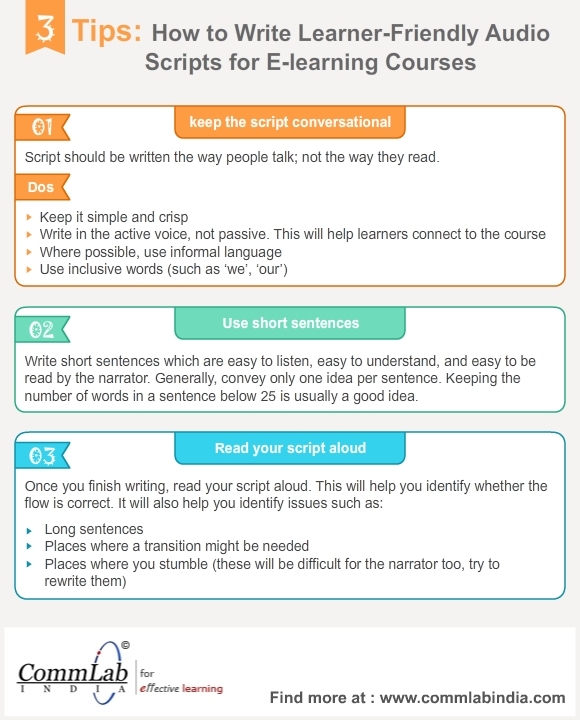 Here is an info-graphic that lists 3 proven tips to develop a top-notch audio script for your eLearning course. Hope you find this post useful. How do you prepare audio scripts for your online courses? We’d love to hear your experiences.